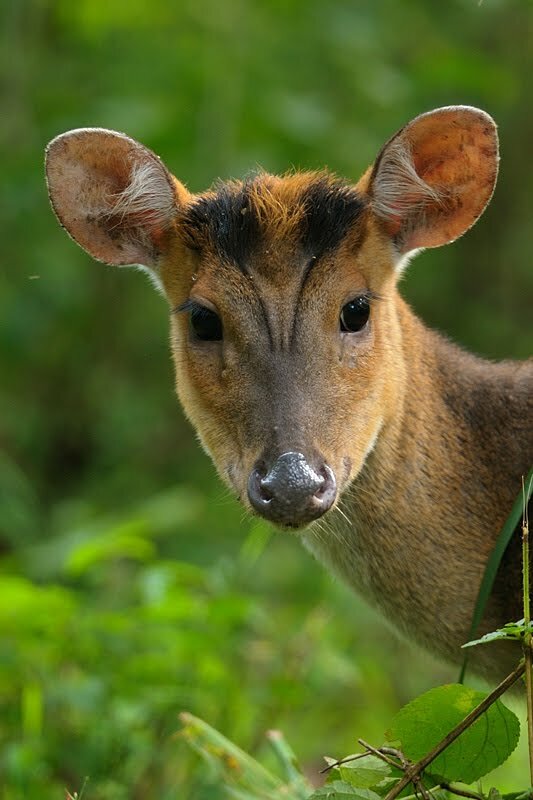 The Barking Deer get their name from the barking call they make when they sense a predator close by. 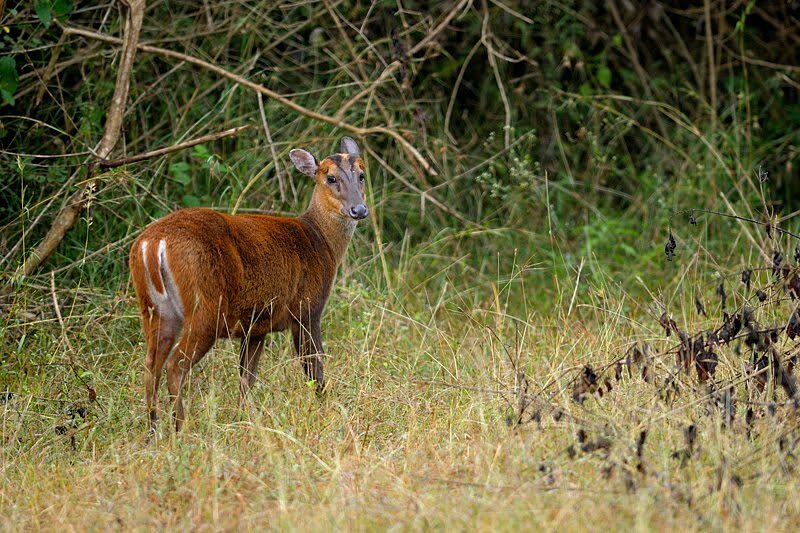 They are one of the most shy Deer species and are rarely seen venturing into open grasslands. With their downward pointing tushes or tusks, they are quite distinct from the other Deer species. And in one of our earlier posts you can see them with their canine teeth and long tongue. 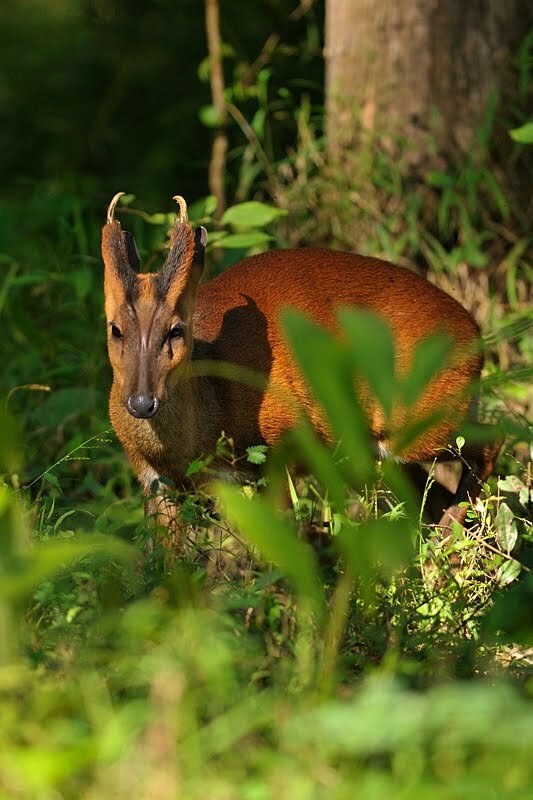 Barking Deer are generally solitary mammals and rarely seen in groups, except when it’s a courting couple. 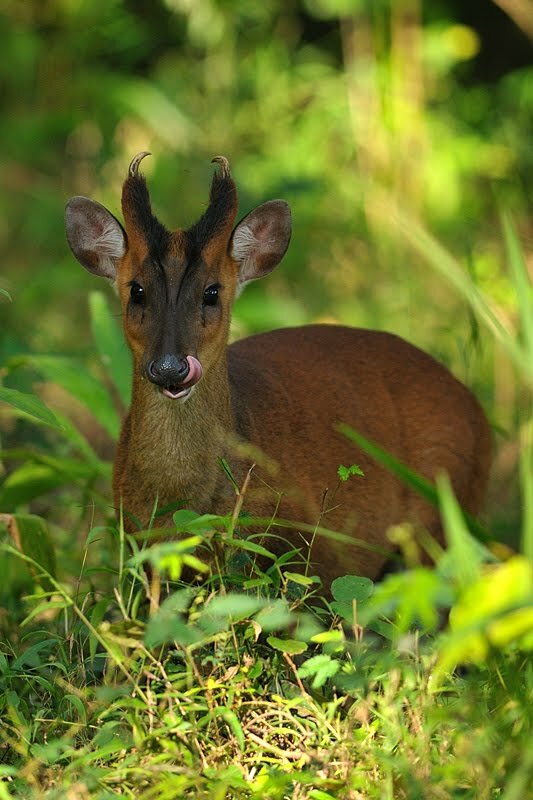 The male Barking Deer are highly territorial and put their short antlers and tusks to good use during fights. Here’s a collection of images taken with the D300 with the 300mm f2.8 lens combination. The 300mm f2.8 with the 2x TC has been used in some of the images. 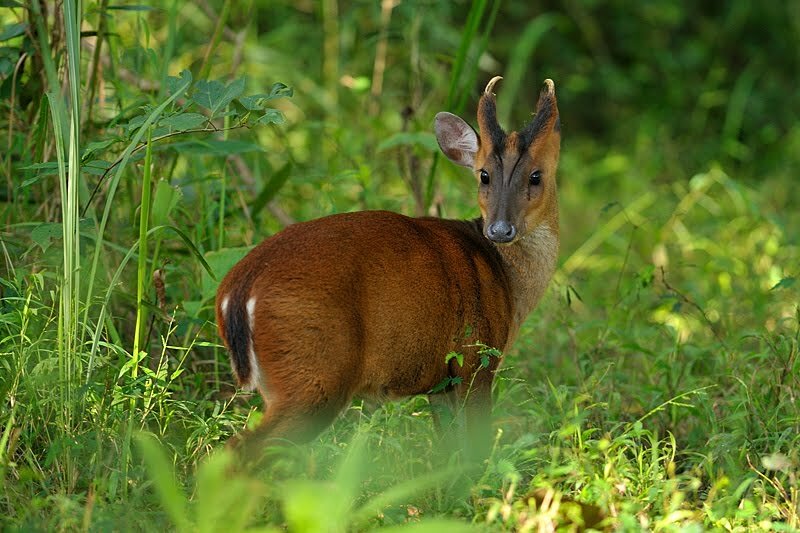 The first and last images are of a female Barking Deer and the rest are of the Male. nice ones, as usual…. only now did i even notice those horns or antlers and thanks to the link to your previous post, those teeth! would never have known of these otherwise…incidentally, with those horns, they resemble goats in some way, dont they? These deers have very beautiful horns. Those horns are really wicked looking. I like the animal though. Love the contrast of the dark green background and the brownish antelope. Great photographs! I'm always extremely impressed by your photography. Keep up the excellent work! Amazing captures – really beautiful and interesting! Interesting post:I didn't know about this animal. Top quality pictures:really crystal clear.